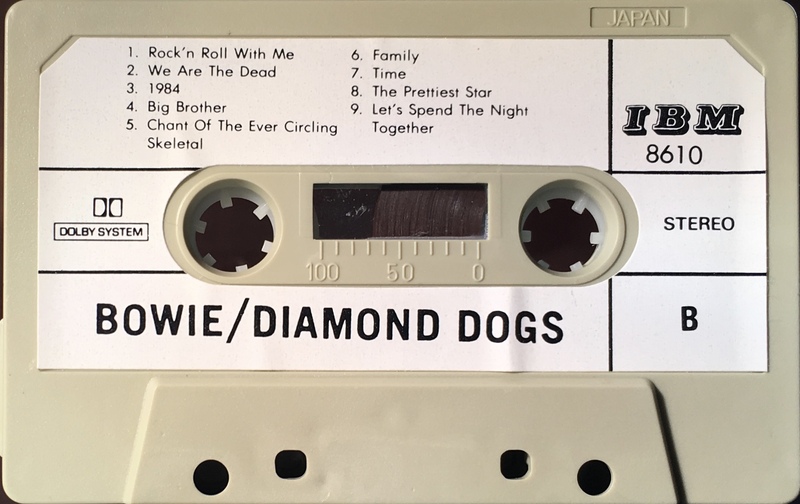 Diamond Dogs; Saudi Arabia; IBM; 8610. Full album on 747’s ‘747 POP’ series; several tracks from the Aladdin Sane album have been added. Side 1: Future Legend; Diamond Dogs; Sweet Thing; Candidate; Sweet Thing (reprise); Rebel Rebel; Watch That Man; Aladdin Sane. Side 2: Rock ‘n’ Roll With Me; We Are The Dead; 1984; Big Brother; Chant Of The Ever Circling Skeletal Family; Time; The Prettiest Star; Let’s Spend The Night Together. 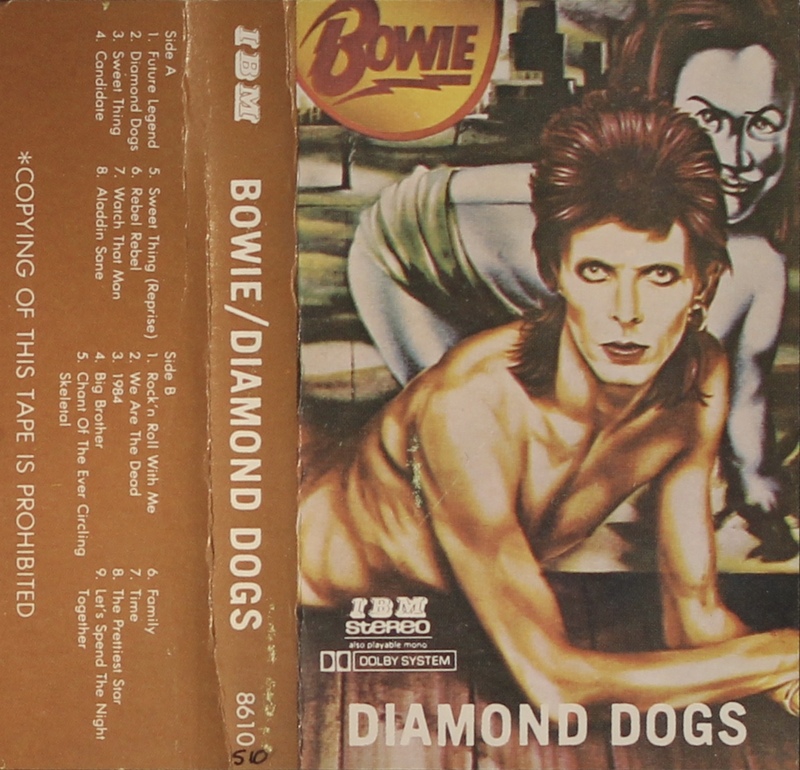 Diamond Dogs; Saudi Arabia; Thomsun; EN-3888. 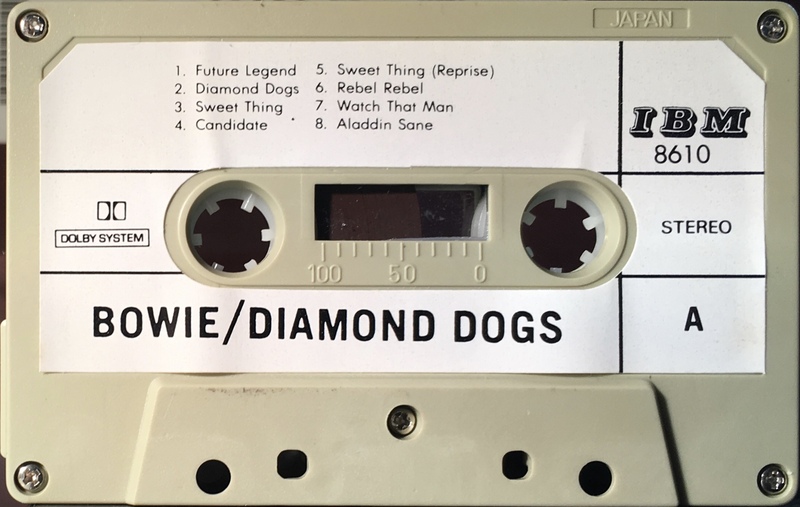 Side 1: Future Legend; Diamond Dogs; Sweet Thing; Candidate; Sweet Thing (reprise); Rebel Rebel; Dodo. Side 2: Rock ‘n’ Roll With Me; We Are The Dead; 1984; Big Brother; Chant Of The Ever Circling Skeletal Family; Candidate (demo version).